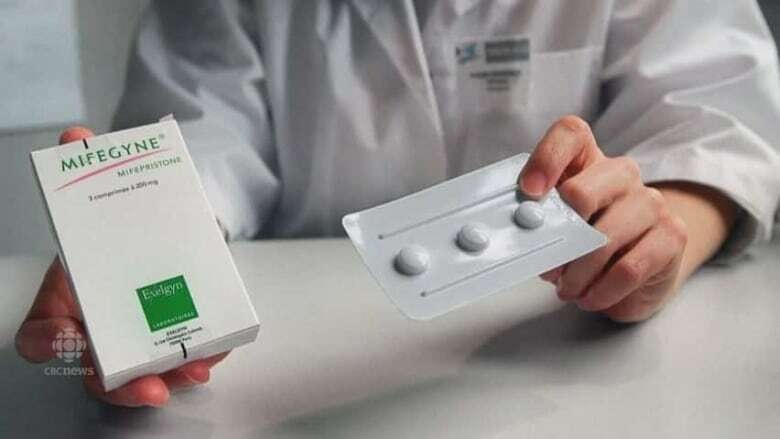 Women across Ontario can now theoretically get the abortion pill Mifegymiso for free, but physicians warn there are still major barriers to access. Women across Ontario can now theoretically get the abortion pill Mifegymiso for free — but physicians warn there are still major barriers to access. The Ontario government had first promised to publicly fund the medication, also known as RU-486, in its spring budget, saying it wanted to provide women with more autonomy around their reproductive health, especially those living in rural communities who had to travel hours for surgery. Women with a valid health card and prescription from a doctor or a nurse practitioner can get it for free at pharmacies that stock it. But Health Canada forbids doctors from prescribing the medication without first performing an ultrasound on the patient, something that requires both the equipment and the specialized training to operate it. "I haven't really seen a lot of rural family practitioners who do bedside ultrasounds in their clinics, so that would be a limiting factor," said Dr. Kaitlin Dupuis, a physician with Planned Parenthood Toronto. "I would say the idea is great, but there's logistical stuff that still needs to be worked out." It's an issue at Planned Parenthood Toronto as well. The health centre doesn't have an ultrasound machine at its site, but it's trying to partner with a local ultrasound clinic. Dupuis said the clinic is hopeful it will eventually get an ultrasound machine at the site itself and train clinicians on how to use it there. The diagnostic step is one that's critical both to the success of the procedure and to the patient's health. That's because the drug has only been approved for use in Canada for pregnancies of fewer than 49 days, or seven weeks. The drug's manufacturers have applied to Health Canada to extend the timeline to nine weeks' gestation. 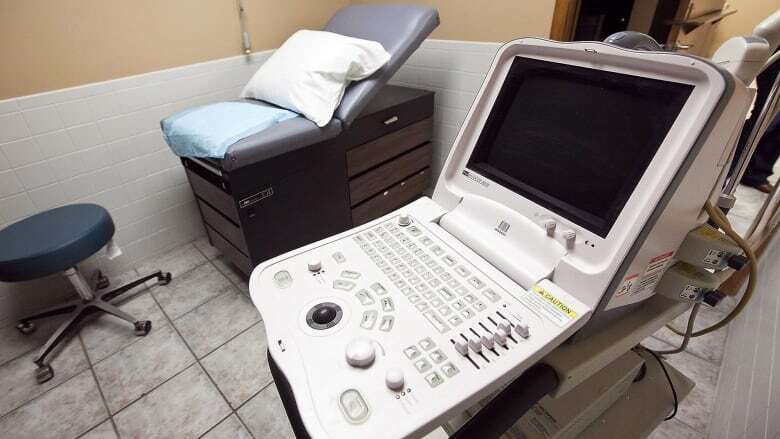 An ultrasound is considered "the gold standard" when it comes to dating a pregnancy, Dupuis said, as it far more accurate than basing it on a person's last period. Calculating the gestational age is critical. There are risks associated with taking Mifegymiso later in pregnancy, including not completely expelling the fetal tissue, which can cause heavy bleeding and infection, according to Health Canada. An ultrasound is also the only way to make sure a woman is not having an ectopic pregnancy, Dupuis said. "The medication can actually be very harmful if used accidentally in an ectopic pregnancy — a pregnancy that would be in the fallopian tubes or outside of the uterus — so ultrasound is the gold standard diagnostic test to rule that out." The ultrasound needs to be done quickly, considering that a medical abortion is time sensitive. "Sometimes in more rural and remote areas, it may be challenging even to access an ultrasound in a timely fashion," said gynecologist Dr. Ashley Waddington, who is based in Kingston, Ont. "There may also not be providers who have gone through the training to be able to prescribe the medication." Physicians who have never before performed abortions are supposed to take an online course designed by the Society of Obstetricians and Gynaecologists of Canada, the College of Family Physicians of Canada and the Canadian Pharmacists Association. It's unclear how many Ontario doctors have taken the course, but the Society of Obstetricians and Gynaecologists of Canada says that 1,800 pharmacists and physicians have already taken or have registered to take the training. Earlier in the week, however, the society also told CBC London that fewer than three per cent of doctors in the southwestern communities of London, St. Thomas and Woodstock have either registered for or already taken the required course. And CBC Ottawa reports that so far only two doctors in that city are licensed to prescribe it. Waddington, however, said she's hopeful more doctors will take the hour-long course now that the drug is covered by the Ontario Health Insurance Plan (OHIP). The $50 course teaches physicians about how to monitor a patient after taking the two-step medication, which causes painful uterine cramping. 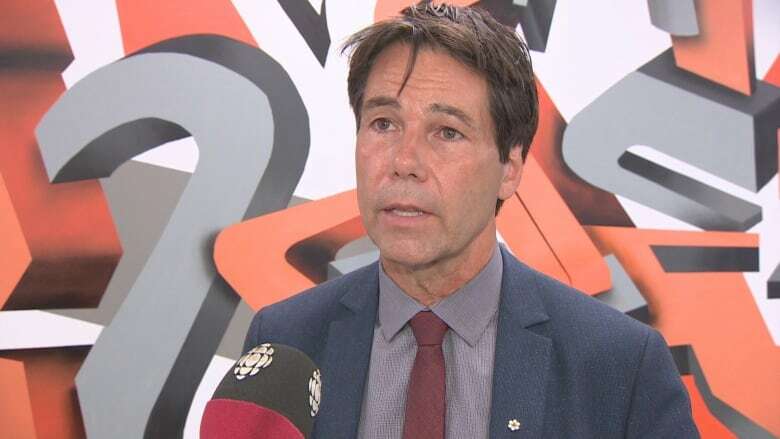 Provincial Health Minister Eric Hoskins said Thursday there's no timeline to ensure more doctors have the training and equipment needed to provide the pharmaceutical abortion. Instead, he said the goal is to ensure that every person who wants access is able to get it. "I'm confident in the coming weeks and months we'll see a significant increase in the health-care providers that are trained and are providing it," Hoskins said. "That's my responsibility as minister, and with my ministry, to ensure that access is there. And I'm confident that … we'll reach that target."